Paul Cherry, Publishing Director for UK secondary schools at Hodder Education, shares what, in his experience, is needed to be a successful commissioning editor. He covers the macro level drivers and the day to day tasks, from author relationships to creating value. 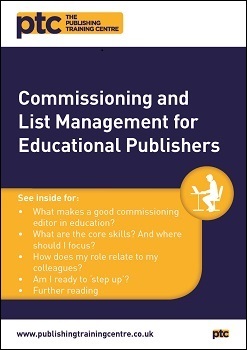 The role of Commissioning Editor is a complex and demanding one, but this guide makes it easy to understand both what is involved and whether you would be a good match for the role. Paul Cherry is the Course Director of the PTC course Commissioning and List Management.